The match against Trinidad and Tobago could determine which two teams from the group advance to the final round of qualifying for the CONCACAF, the Confederation of North, Central American and Caribbean Association Football. Nine years after he stepped onto Everbank Field as a defender for the U.S. National Soccer Team, Alexi Lalas returned to the city as an analyst for Fox Sports. The U.S. National Team has played in Jacksonville a few times, but the match against Trinidad and Tobago is the first qualifier to take place on the First Coast. Lalas said that’s progress. “I mean, it’s no longer underground or niche. It’s a vibrant, educated, discerning type of soccer army that has come above ground and there’s an entire generation, now multiple generations that see soccer as part of their sports landscape,” he said. Lalas said bringing the World Cup to Jacksonville should help cultivate new fans and generate interest in the city’s own fledgling Armada soccer club. And that passion could inspire young soccer players who could one day play for the national team. “What’s really exciting is to see this generation we were just talking about come to fruition with all the incredible things that they have that I never had – with soccer-specific stadiums, the soccer culture that we talked about, much better coaching and soccer on television,” he said. Jeremy Chase, vice president of the Jacksonville chapter of a U.S. National Team support group called the American Outlaws,said support for the national team has helped put Jacksonville on the map as a soccer-loving city. He’s urging everyone to come out to show support. “The U.S. Men’s soccer team, we’re an underdog just all the time it seems like. You know like I said we should win this game and we’re a favorite usually, but it’s a good way to show your patriotism,” Chase said. Jacksonville previously set a record for the highest attendance of any friendly in national team history. 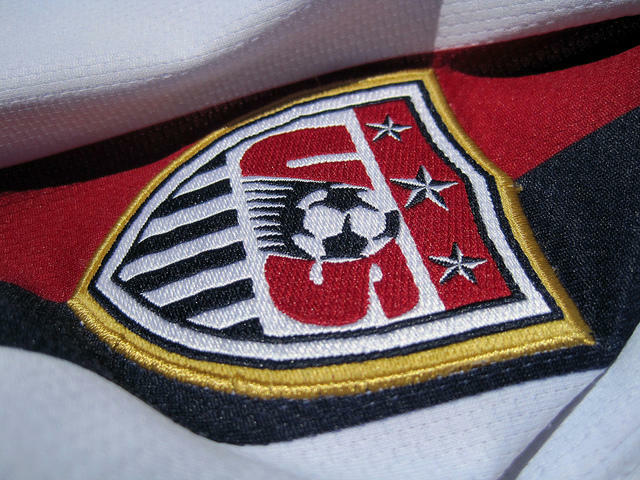 Photo: "usmnt jersey" by apasciuto used under Creative Commons license. Editor's note: This article was updated to include quotes from Fox Sports analyst Alexi Lalas.